The right customer support software can help. CRM is a very broad term used to refer to managing customer relationships - literally it stands for Customer Relationship Management. While the concept is simple, the term encompasses a vast array of functions related to running your business. Most commonly this includes managing basic customer and contact information, sales opportunities, marketing initiatives, and customer support interactions. In its truest definition, CRM is anything that affects your relationship with your customer - all of the above, and even project management and finance. CRM is essential to customer satisfaction - even for small business. CRM includes 3 primary pillars of customer experience management: Marketing, Sales, and Support. Once a customer is won, the most important part of CRM for small business is maintaining the relationship through customer service and support. To retain customers, you must continually seek to meet (and exceed) their expectations. The best way to manage customer relationships is to keep track of them using a system designed as a CRM for small business. This can be cloud-based or installed, but email and Excel simply won't cut it - you need a dedicated software that includes a company and contacts database where you can insert notes and attachments, and ticket management features to keep track of customer service issues. Small business customer support software can help you manage growth by increasing efficiency and reducing manual work. 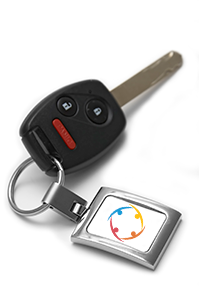 This frees up your staff to focus on other tasks so you can accomplish more with less. 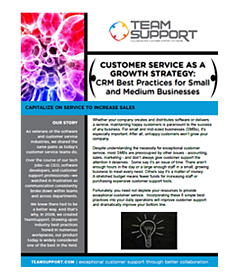 When done right, a CRM system will pay for itself in reduced customer support costs. Learn customer relationship management (CRM) best practices to improve customer support without breaking the bank.